DC Comics has officially revealed Supergirl’s take on one of the most famous Superman rivals of all, Lex Luthor, ahead of his arrival in National City to cause problems for poor Kara Danvers (isn’t she going through enough right now, show!?). Basically, it’s just a picture of the lovely Jon Cryer. Except! He’s in a prison jumpsuit, because that’s where Lex has been while Kara has been dealing with his mom and sister, Lillian and Lena Luthor, at the re-branded L-Corp.
Lex in all his glory. Maybe he’s doing time for stealing 40 cakes? I’d hope so. That is truly a terrible crime. Cryer will debut as Lex—who will play a major role in the rest of the currently airing fourth season—in the March 17 episode, “O Brother, Where Art Thou?” as he reaches out to Lena from his imprisonment to embroil her in one of his sinister plans. Considering Lex has always hated Superman in part for his alien nature, presumably it’s going to have some parallels to the story of hatred and xenophobia Supergirl has been tackling this season. But will he actually worm his way out of prison, having been there since Supergirl began? I mean, probably. 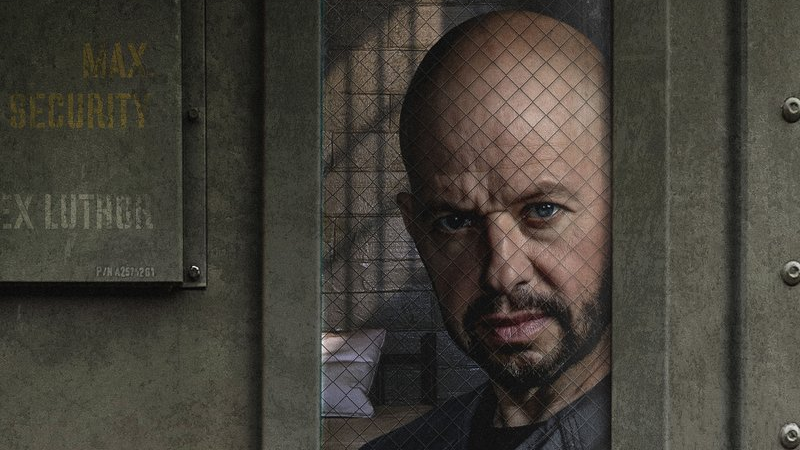 You wouldn’t want Jon Cryer sitting in a cell for his entire stint on the show. Kara better be ready for a Luthor family reunion soon!